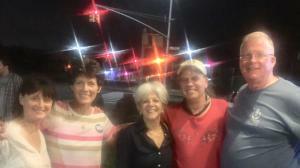 QUEENS, NEW YORK, USA, November 2, 2018 /EINPresswire.com/ — Personhood New York is proud to say they have their very first Personhood approved NY State candidate in Vickie Paladino! After only a few years in existence, Personhood New York can say, we did it! However, this could never be accomplished without giving most of the credit to the woman whose got a lot of punch!